Over the first few days of this week before Ted flew back to BC, we took in some of the local sights. 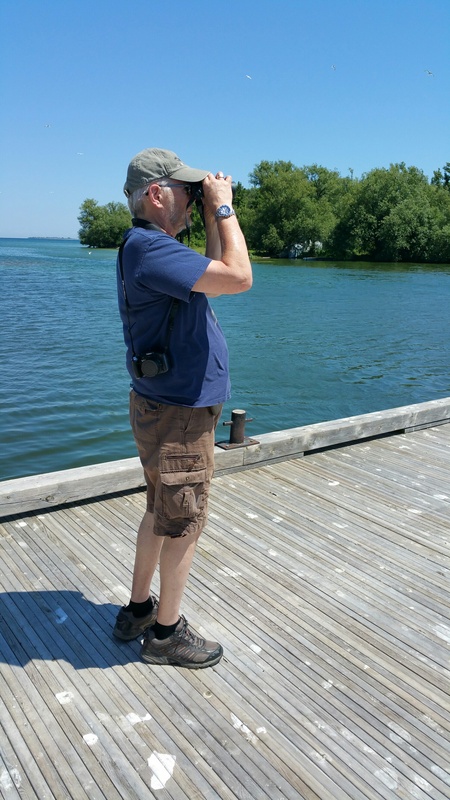 Being a passionate birder, his first interest was to visit Point Traverse, one of the birding ‘hot spots’ in Ontario. 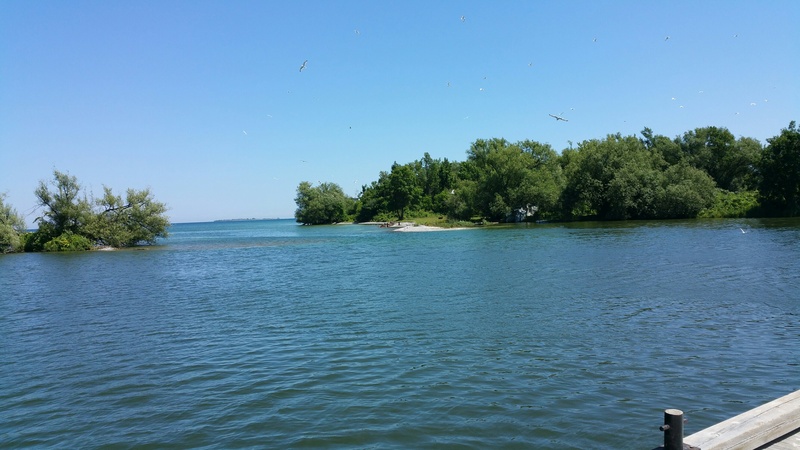 At the end of a very long point, it is the closest land on the north shore of Lake Ontario to New York State. Migrating birds often land there in May before heading further North and birds also congregate there in the Fall before heading south. It was farily quiet in July as far a birds go but still a beautiful spot and Ted got in at least some birding. 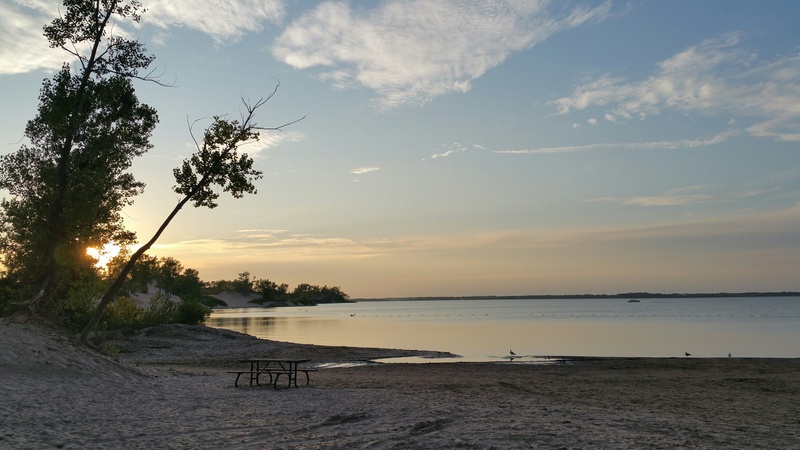 We also took Ted to Sandbanks Provincial Park one evening. 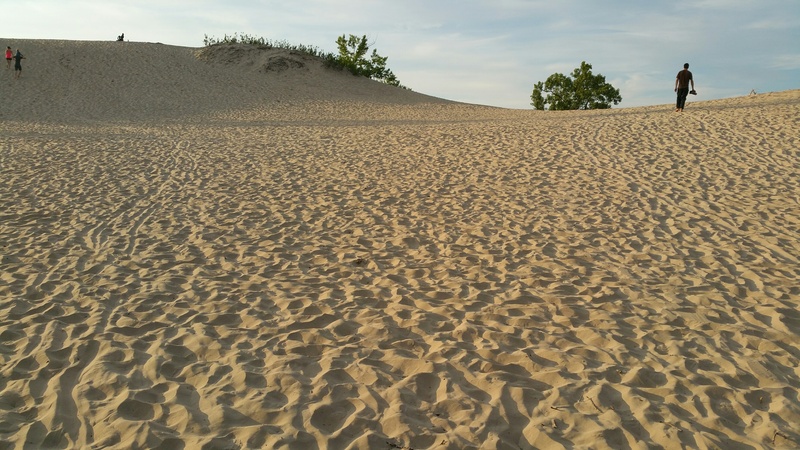 In addition to having sandy beaches that look like they were dropped in from Hawaii, the park features huge sand dunes. In fact, they are said to be the largest sand dunes on a fresh water lake in the world. At any rate, we enjoyed climbing up to the top in the soft fluffy sand. View over West Lake from the top of the sand dune. Lake Ontario is behind us. 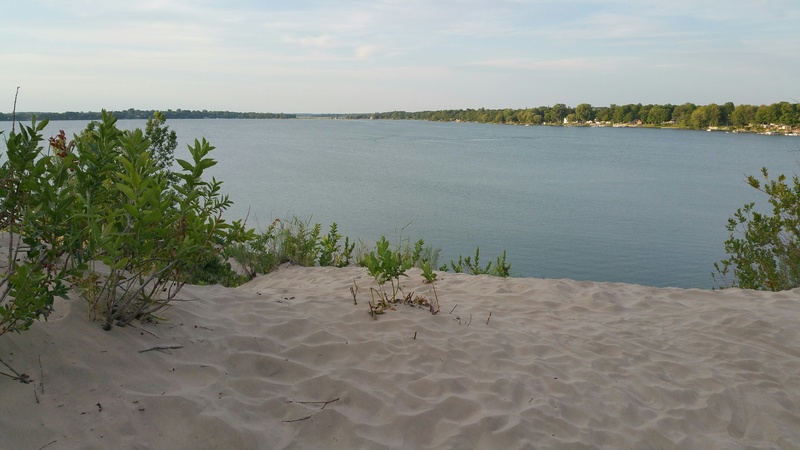 West Lake (and East Lake) formed behind the dunes. We spent a wonderful afternoon and evening visiting friends of Ted and his wife Jenny in the next county to the east. We took the ferry from Glenora across the Bay of Quinte. 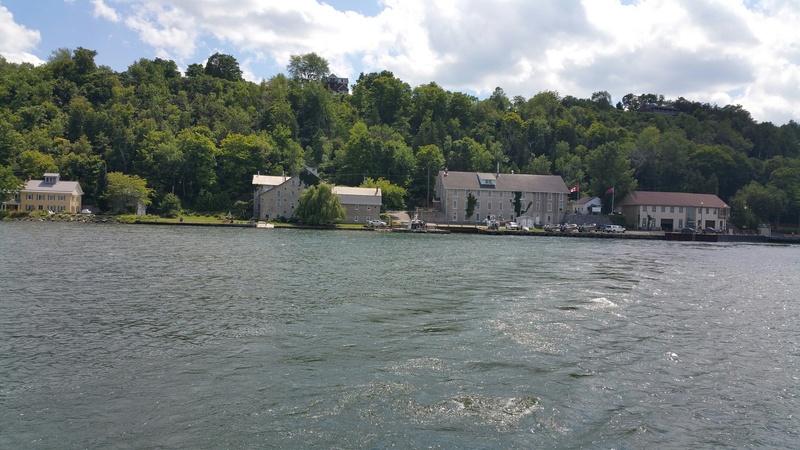 Historic village of Glenora from the ferry. 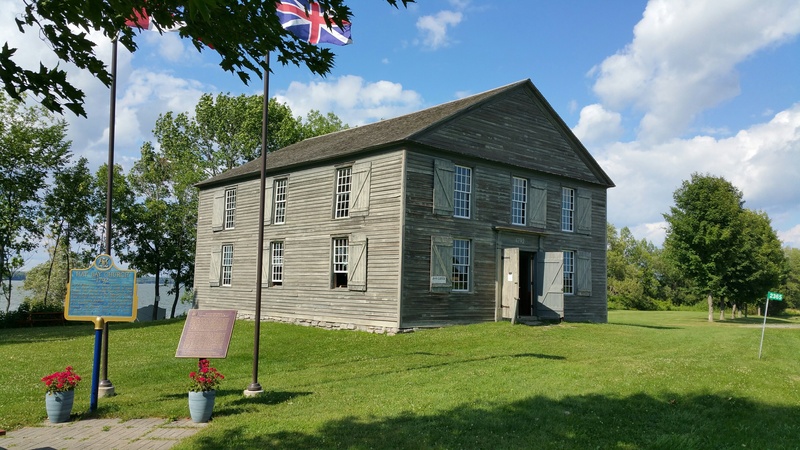 Sir John A. Macdonald spent part of his childhood there while his father operated the grist mill and store. We enjoyed the tour of the farm land in South Fredericksburg that Ted’s friend Duncan gave us. 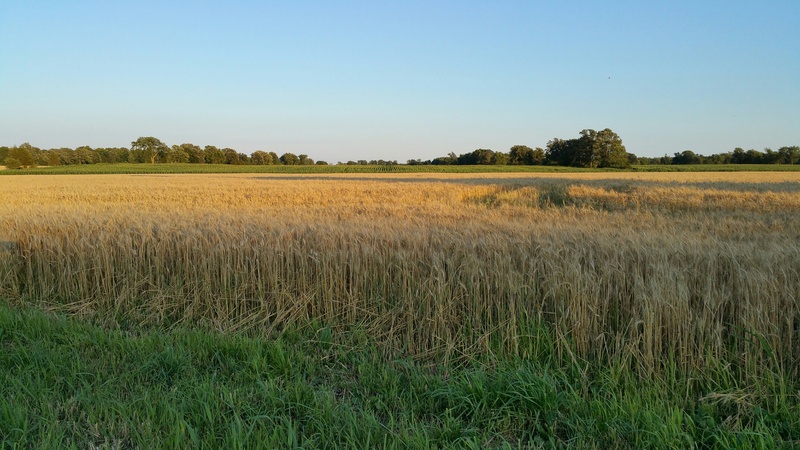 It surprised me that wheat is one of the most important crops in both South Fredericksburg and Prince Edward County. 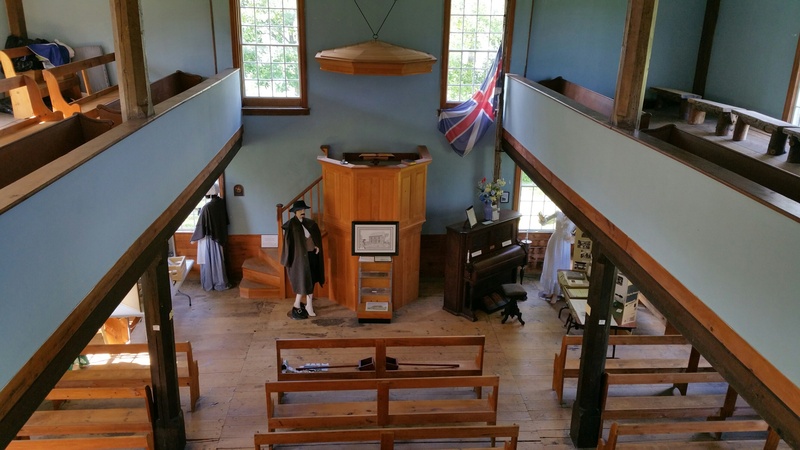 Duncan also took us to see the historic Hay Bay church, the oldest Methodist church building in Canada. Since Sheila has arrived we have been mostly working and attending to business but have done a bit more sight seeing and will show some more photos later.